A good way to start the day is with an apple and some good essential protein to sustain the morning. 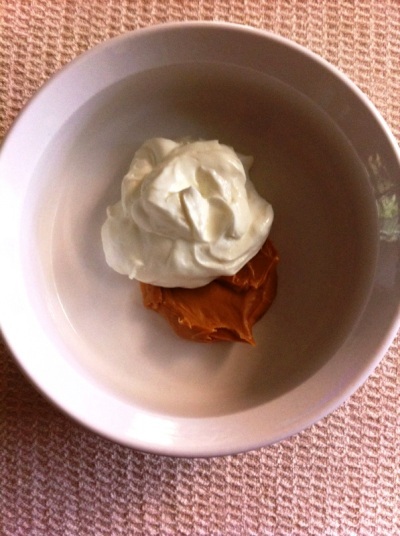 Here's a great and tasty idea if you're a peanut butter lover! Just mix a tablespoon of peanut butter in with some plain low fat yogurt, sprinkle a scoop of toasted oats Muesli and you've just made a simple fruit dip for breakfast. You just need 4 ingredients - BOOM your day just started out healthy and simple! 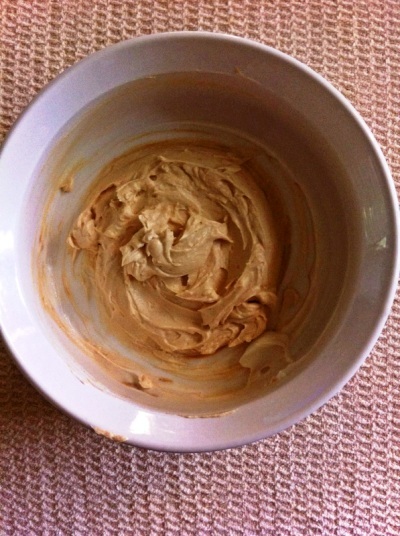 I put the peanut butter in a mixing bowl and warm in the microwave at 50% power for about 45 seconds. This just makes it a bit creamier and more pliable for mixing with the yogurt. Once you've done that, add the yogurt. Next mix it all together until all blended and smooth. Sneak a finger dip for good measure. Want to make sure you have enough peanut butter for your liking. 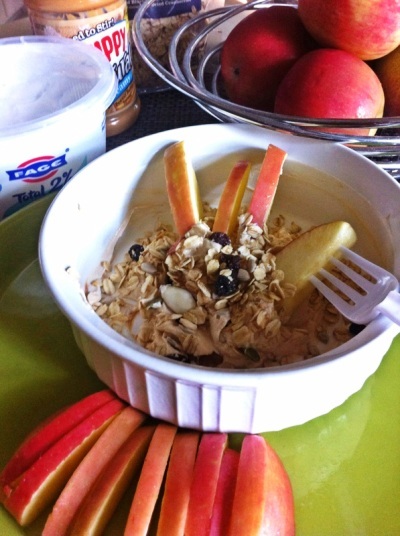 1/4 cup of Nature Valley Toasted Oats Muesli or use any variety of your favorite kind of granola topping. 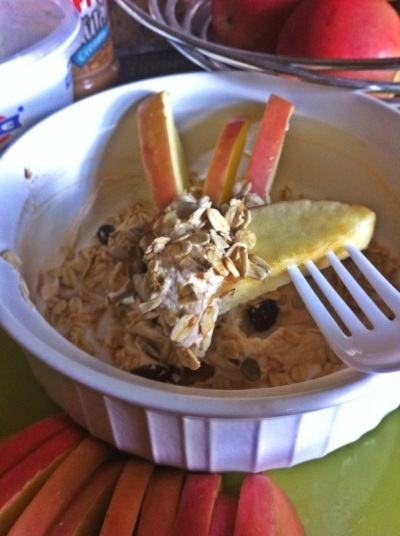 Toss the toasted oats over the yogurt and PB mix and get ready for the apple dipping. This is one way to Eat an Apple a day to keep the Doctor away!! It doesn't just have to be for breakfast, it's a great dessert or snack idea too. Dip to your heart's content!